Your Daily Detroit shares what to know and where to go in Metro Detroit. This all local news & entertainment show pushes Detroit's conversation forward. We cover development happenings, city and suburb news, policy, where to go eat and drink, events around town, the tech and entrepreneurial scene, and more depending on the day's news. 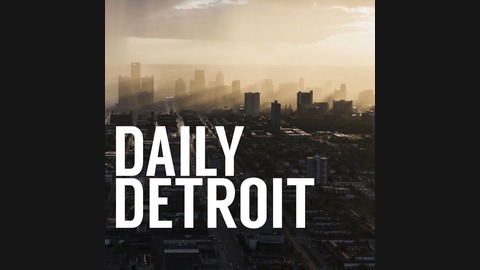 All brought to you by the smart and engaging team at Daily Detroit. The news on Good Friday in Detroit was that Steve Yzerman is returning to the Detroit Red Wings as General Manager. As we do, we like to bring someone who's really knowledgable and passionate about the sport we're talking about when we cover it on the Daily Detroit podcast. For hockey, that's Walt Barnes. He's a co-host of the In The Box podcast, a seasonal show focused on hockey also on the Podcast Detroit network. I hope you enjoy our conversation. Of course, if you love the show, don't forget to tell a friend. It's the best way to push Detroit's conversation forward. And if you're feeling extra generous, we have a Patreon where you can become a member and support us. 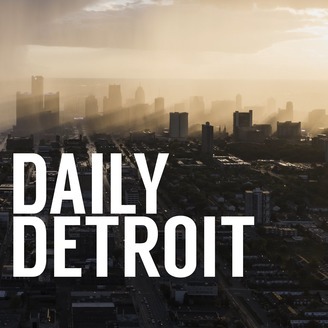 http://www.patreon.com/DailyDetroit.